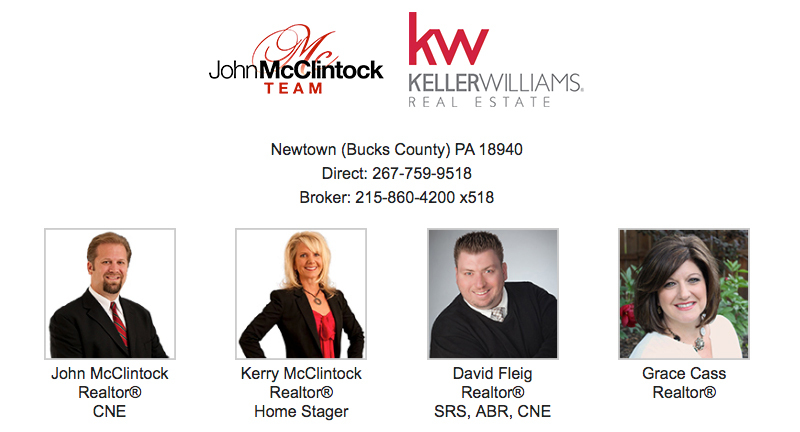 Thinking of selling your Mercer County home in 2019? Before you list your home for sale, call the John McClintock Team at 267‑759‑9518 for no obligation recommendations on timing and pricing. In addition we'll provide you with an overview of our comprehensive marketing package that includes, home staging, brokers' open house, virtual tour, video tour and social media marketing campaigns.